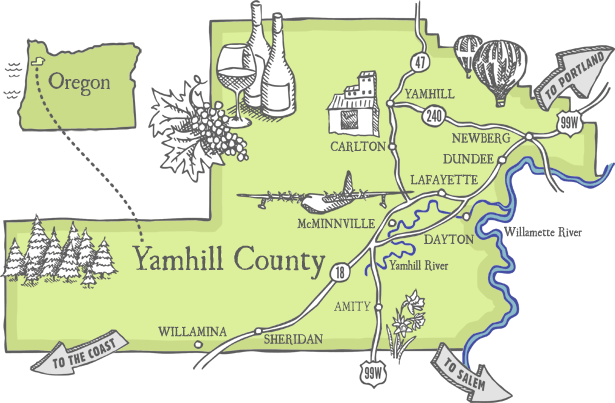 In the heart of the Willamette Valley and Oregon Wine Country, McMinnville is centrally located in the middle of everywhere. This means you're close to Portland, Salem, the Oregon Coast, mountains, forests, and more. Though you're not far from the metro area, in McMinnville, our amenities will keep you close to home. See our Community Profile for more information. We at MEDP recognize that creating economic vitality for the future of McMinnville means creating a strong technology sector in our community. Due to the nature of tech companies, we also recognized they can be located anywhere in the U.S. MEDP's Tech Terroir initiative aims to reveal McMinnville as a great place to grow a technology company. As part of our initiative we are building our community of tech companies in Yamhill Valley with events like our Tech Bytes meet ups, and our Tech Panel. We aim to recruit companies who want to be involved in the community where they're located and are looking to provide employees a higher quality of life at a lower cost of doing business. Does this sound like you? Call us at 503.474.6814 to learn more.